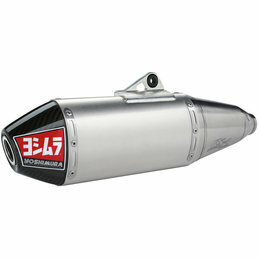 Yoshimura has been working tirelessly on development with American Honda HRC's engineers to achieve maximum performance and mass centralization, to optimize rider usability. 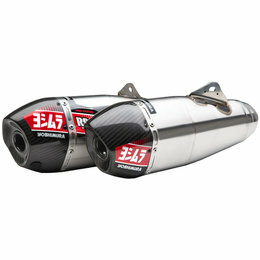 Yoshimura achieved all this by moving the new RS-9T mufflers forward in order to tuck in under the side number plates. Working with HRC race engineers, Yoshimura was able to deliver an exhaust that provides more tractable power and improved torque. RACE SERIES FOR CLOSED COURSE COMPETITION ONLY; NOT INTENDED FOR STREET USE. 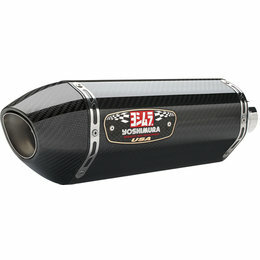 Now Yoshimura introduces the RS-4 Race Series slip-on for the new dual sport machine. 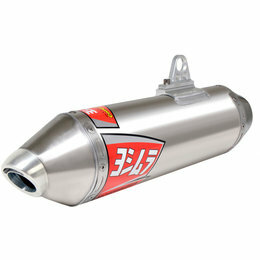 By giving the new CRF250L more power and torque, the RS-4 provides more punch at bottom end with out sacrificing the mid and top power. The new slip-on also removes a good amount of weight from the stock unit. 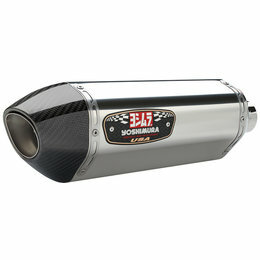 Those that love the Yoshimura RS-4 sound will love the way it makes the new CRF250L Rally sing! 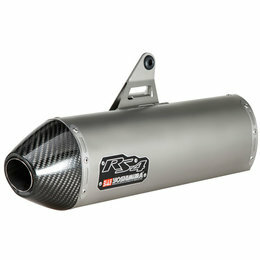 The new R-77 Works Finish slip-on reduces almost 2 pounds while providing the big 701 more usable horsepower and torque especially on the bottom end. The sound note that the R-77 captures from the 701 is simply magnificent. 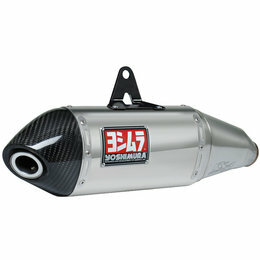 The new R-77 is available in Works Finish stainless steel with a carbon fiber end cap. New Yoshimura Works Finish takes on a unique coloring after it goes through a heat cycle on the motorcycle that looks much like those titanium works components Yoshimura's factory racers use. The Alpha T utilizes a tapered conical sleeve that produces a higher "GP" tone than its bigger brother Alpha, and is also lighter than the original Alpha. 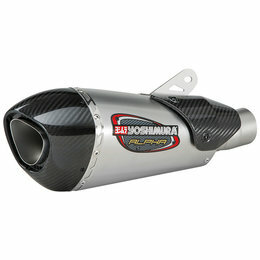 This muffler option includes durable stainless steel, featuring Yoshimura's exclusive Works Finish fitted with a carbon fiber end cap. 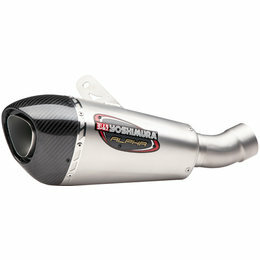 New Yoshimura Works Finish takes on a unique coloring after it goes through a heat cycle on the motorcycle that looks much like those titanium works components Yoshimura's factory racers use. One look at an Alpha T system and you know it’s something special!